Our 2019 calendar will be available from the end of next week. Full of wonderful images of old Smethwick. We will also have our new book available for sale next week too. This is volume one of our four part series of books detailing Smethwick’s memorials of the First World War. 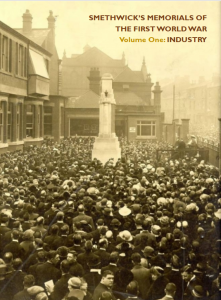 Volume One features the Industrial War Memorials of Avery, Chance’s, Evered, GKN and Mitchells & Butlers. Apart from the forthcoming memorial tribute to Harold Colley MM VC on Saturday 25th August, we are also looking forward to being part of the annual Heritage Open Days weekend. 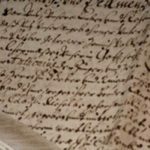 This sees the Centre opening on Saturday 8th and 9th September with access also to the Council House chamber and freeman’s room next door. On the Sunday we will also have a talk by Mary Bodfish from 2 – 3, the subject being Smethwick’s Proudest Day.